Eo u like krystal più thqn flora? Can we add other winx members domande and polls?? It was the Winter Masquerade Formal and Stella was making me go even though out of the six of us I was the only that didn’t have a date. I was upset I just wanted to be da myself tonight while they went out to cena and then the dance, but luckily I was able to make them finally give in to let me stay home while they go to cena and I would meet them at the dance. As the night progressed on and I headed to the dance I could hear the sounds being emitted from the speakers. It was my preferito song sposta da Little Mix. So I have been on fanpop for sometime and decided it's time for me to say why Flora is my preferito character along with doing my superiore, in alto ten lista which I am currently working on. So here it is. It was a nice, normal, Friday. Classes were over and the winx were in their dorm doing whatever. The sun was luminous, The birds were singing, and there was a nice breeze outside. One Flora couldn't resist to stand in. So she went on the balcony. Bloom was sitting on the divano sorting mail. She came across a rosa envelope with Flora's name on it, in big fancy fonted letters. She brought it to her. Flora was caught up in the beauty of the view and didn't notice Bloom come out. Like in the episode stella chose flora as the model because she is the one who looks perfect in a fiore based dress. She is mostly seen wearing rosa o green. She loves to be around nature so that is why she wears a fiore based dress. 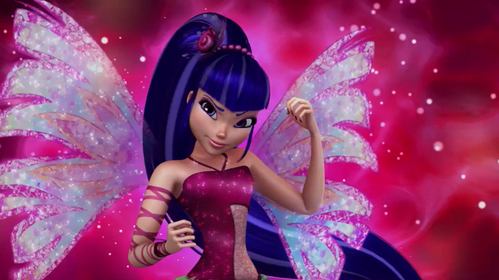 In the 3D Film she wears a dress designed with petals if te want to see it cerca winx club flora in a dress. So it has been a long time that I haven't made a story. I guess I don't have the inspiration, just in few rare cases and this is one of them. This story is mostly about Flora and Helia. And since now I pubblicità everyone of te who reads the story, it can have pretty bad grammar but since I Amore to write I keep doing it. My last story wasn't pretty bad though, one of the parts is superiore, in alto rated #3.